The awards to this clone of Angcm. 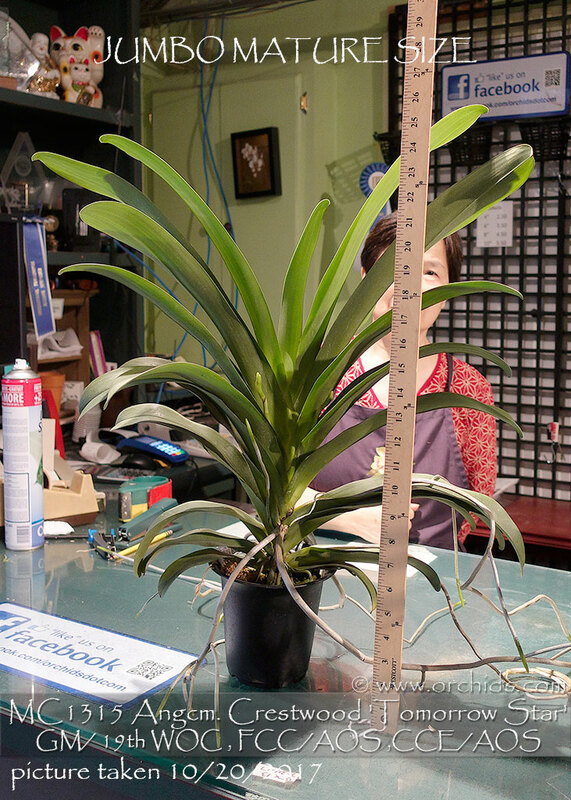 Crestwood are almost as grand as the display it can produce ! 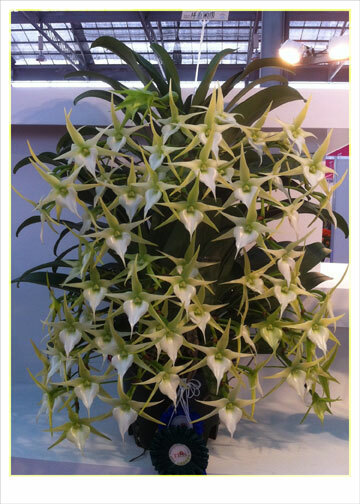 It was Best in Class at the 19th World Orchid Congress in Miami, Florida and Grand Champion at the Tokyo Dome show as well as at the Taipei International Flora Show. 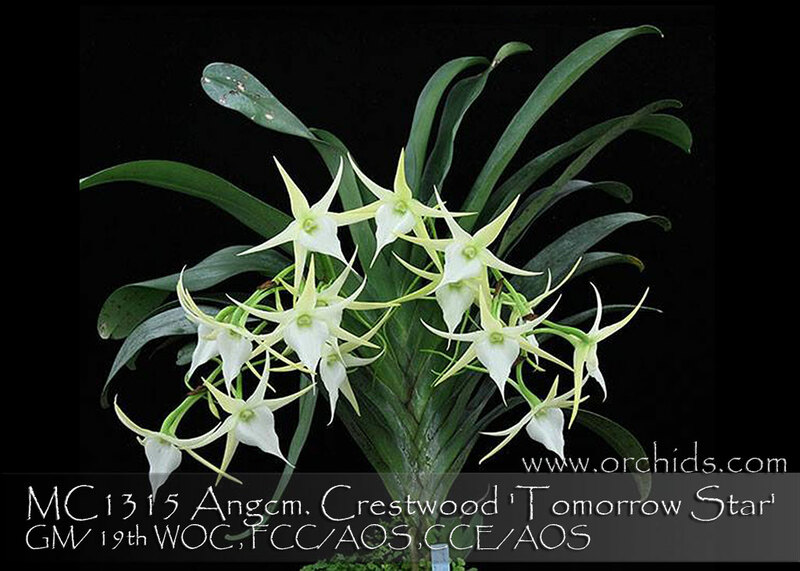 It also was included in the Group Champions of the TIOS Show in Tainan in 2011 where it garnered two of the highest American Orchid Society awards possible – an FCC for its flowers and a CCE for its outstanding cultural display. 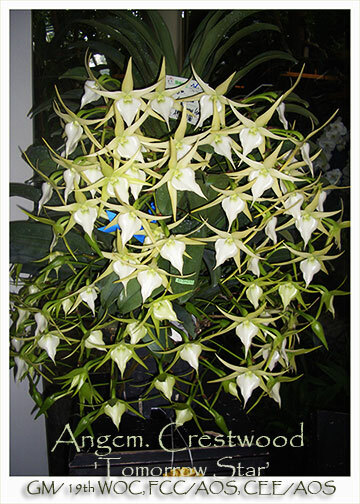 Enormous fragrant waxy white flowers, kissed with a touch of green, can be produced in abundance during the winter on a fully mature plant. 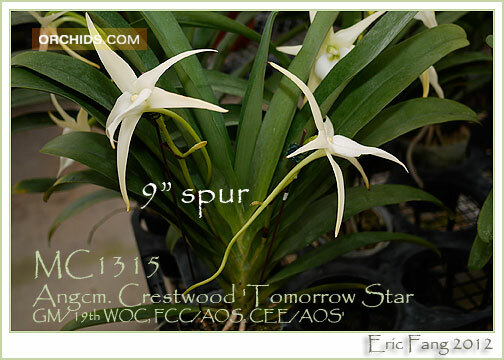 Easily grown outdoors in Southern California and Florida under frost-free conditions. 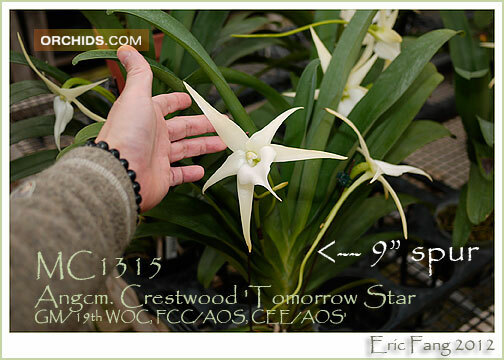 An exceptionally stunning clone of this hybrid and a genuine show-stopper ! 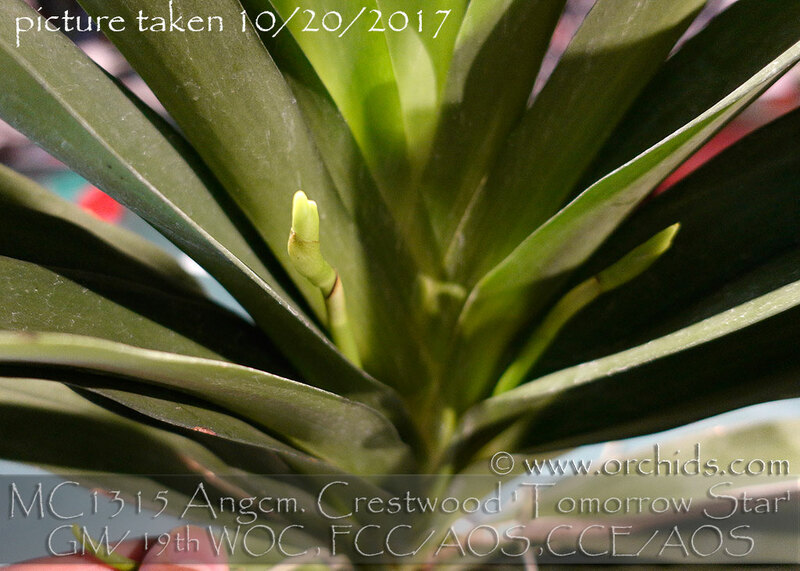 Tomorrow Star, GM/ 19th WOC, FCC/AOS, CEE/A OS.Note: husky plant with night fragrance bloooms.